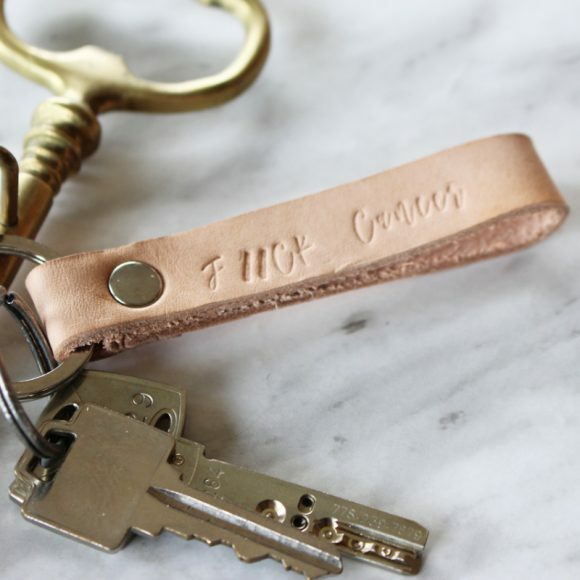 Home Leather Keychains F//CK Cancer Keychain In Support Of The Goyette Family! 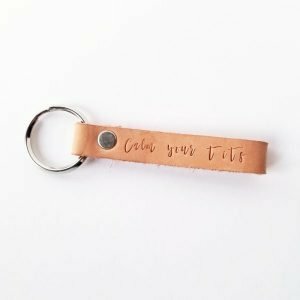 F//CK Cancer Keychain In Support Of The Goyette Family! 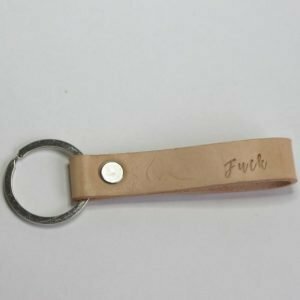 The proceeds from the F//CK Cancer Keychain will be going to support our dear friend and fellow Blogger Tamara from Discovering Parenthood whose husband Jason has been diagnosed with cancer. Please see below for more information! When one of us struggles we all band together! My dear friend and fellow Blogger Tamara from Discovering Parenthood‘s husband Jason has been diagnosed with cancer and is currently undergoing Chemotherapy! 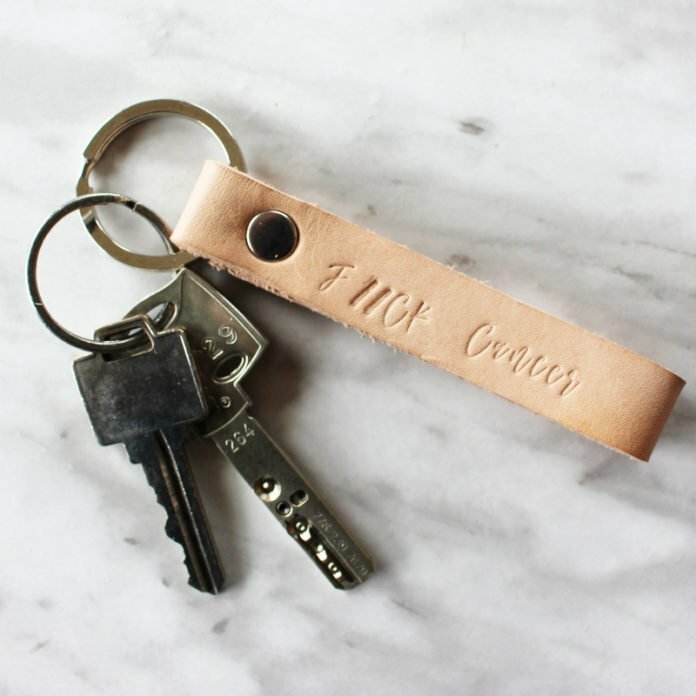 As they do not cuss, in respect to their wishes, the F//CK cancer keychain was born! With two beautiful little girls, who need their Daddy to get better quick, this family needs our help more than ever! I will be donating 100% of the proceeds from the F//CK Cancer keychain aside from the shipping cost will be going to support The Goyette’s Go Fund Me Account as the stress of this diagnosis and treatment is really taking a toll on their young family. 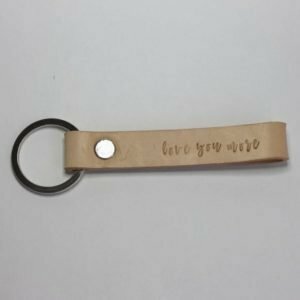 As each keychain is hand stamped, slight variations can occur with the way letters are placed on the leather and may not be perfectly straight as these are handmade and not machine made. As the leather is a natural material, the colour may also slightly vary.Again, as leather is a very natural product and may have small marks, colour spots that are darker than others and even a crack in the colour depending on each piece. I have no way of guaranteeing that there will not be small blemishes! But we promise that each one will be just as pretty. Color Shown is natural and shipped as is! Please consider helping the Goyette family so that Tamara can take some much needed time off to help support her husband and care for her girls. 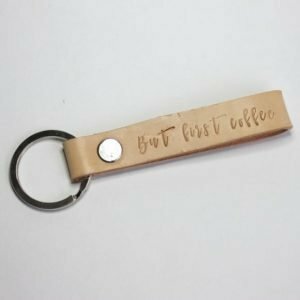 We prefer the keychain in its raw natural state however, we can dye it black, brown, gold, pink, blue or purple, just leave us a quick note in the order notes at checkout Keychain will be shipped to you within 3-5 Business Days!